Sylvine's primary role is to support the families and children under the Shelter Them programs to live as independently as possible. She is responsible for the management and implementation of Shelter Them programs and the monitoring of children and families to ensure they are receiving the appropriate support. 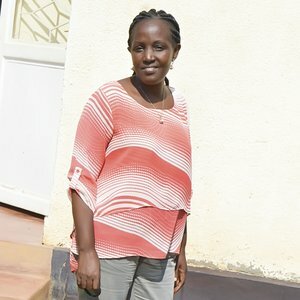 Sylvine is a degreed social worker who works directly with Shelter Them sponsored children and families to provide counselling and training and other assistance as needed.